Cocktail Glasses: 2 Pk LED Color-Changing Only $11.99 + FREE Shipping! You are here: Home / Great Deals / Cocktail Glasses: 2 Pk LED Color-Changing Only $11.99 + FREE Shipping! 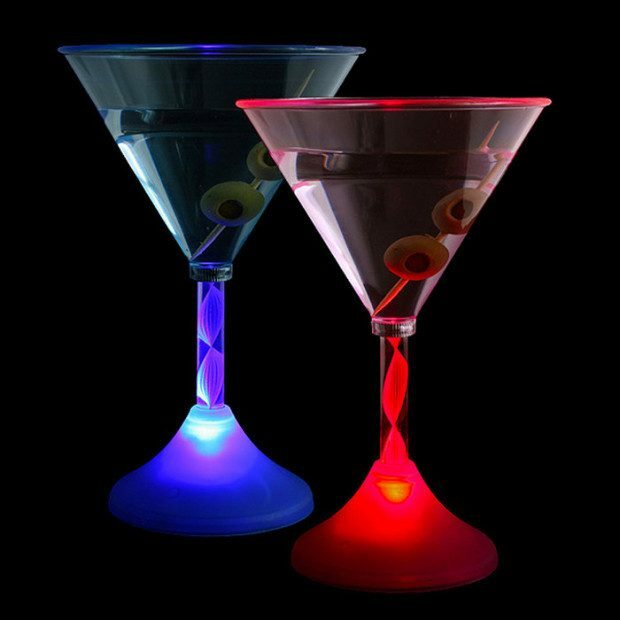 Change things up at your next party with this 2 Pk of LED Color-Changing Cocktail Glasses for Only $11.99 + FREE Shipping! Each glass can be set to any one of seven lighted colors – red, blue, green, pink, turquoise, yellow or white – to suit your mood, your outfit or your surroundings. Alternatively, LED Cocktail Glasses can continuously phase through their color spectrum in a fabulously funky lighting display.